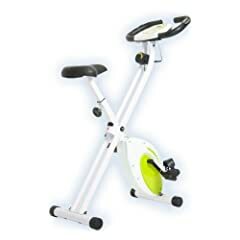 A must have list of fold away exercise bikes for anyone who lacks space in their home or apartment but wants to work out. 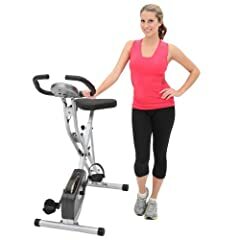 With these upright or recumbent exercise bikes storage is not problem. Yet you can still get great results by increasing your strength and improving your circulation. Never use lack of space as an excuse to stopping you from a good workout at home saving gym fees. 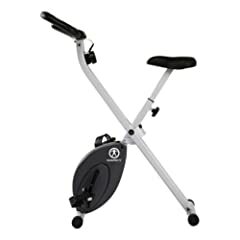 Just because these are the best fold up exercise bikes they still offer some great features includes displays for tracking things like your riding time, speed, distance, calories and other results. Also with the exception of the FitDesk all these models let you adjust the resistance levels for a solid workout. 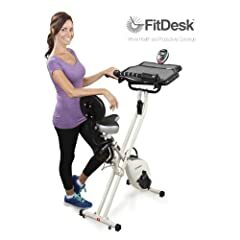 What I like about the FitDesk Pedal Desk is how you can be working on your emails or playing a video game and when you check you have been exercising for 10 or 20 minutes. If you are short of time this is the ultimate in multi-tasking. 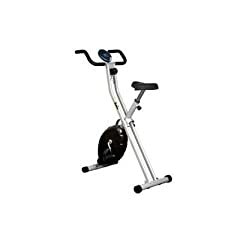 With an adjustable height to fit most people it features a semi recumbent position so you can be comfortable during your workout.